Em and the Big Hoom by Jerry Pinto is a novel out of India recently published in paperback in the U.S. This beautifully written, moving story is told in the first person by the son of a woman who suffers from mental illness. The son’s story is at times humorous, but always with the underlying sadness and confusion which comes when a loved one lives in a skewed reality which can change from one minute to the next. I really enjoyed the book even though much of it made me sad. In telling the story through the eyes of the young man whose mother is mentally ill, Pinto brings the son’s heartache home to his readers. I highly recommend this book. It is very well-written. 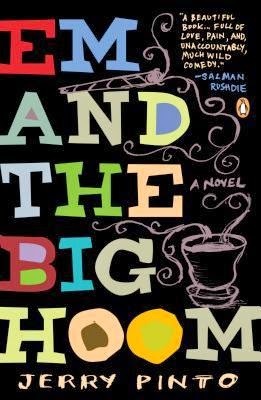 This entry was posted in Uncategorized and tagged Books, Em and the Big Hoom, fiction bipolar disorder, India, Jerry Pinto, mental illness, Mumbai. Bookmark the permalink.